Dr. Shawn McElmurry led a team of researchers looking into the Legionnaires' disease outbreak that killed at least a dozen people between 2014 and 2015. Many more people were hospitalized with the pneumonia-like illness. The team recently published a study linking the Legionnaires' disease outbreak to the Flint River during the city’s drinking water switch. That research has led to the Wayne State University professor being a key prosecution witness against state Health Department director Nick Lyon and state Chief Medical Executive Eden Wells. Lyon and Wells are facing a variety of charges, including involuntary manslaughter in connection with the Legionella outbreak. They’ve been accused of not acting quickly enough after learning of the outbreak in early 2015. But now, Shawn McElmurry’s credentials are being questioned outside the courtroom by another researcher. 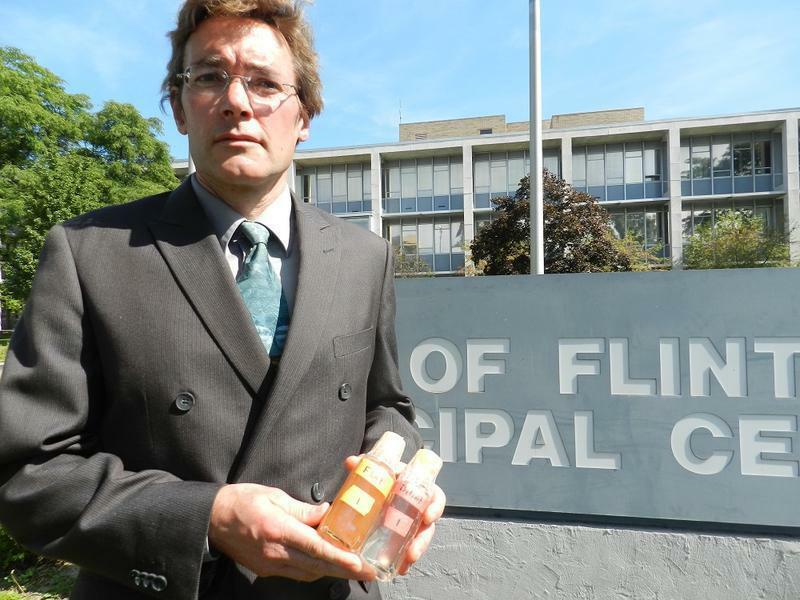 Dr. Marc Edwards was among the first to reveal extremely high levels of lead in Flint tap water in 2015. His team of researchers has continued to test Flint’s drinking water. In a complaint filed with the Michigan Department of Licensing and Regulatory Affairs (LARA), Edwards alleges McElmurry appropriated “ideas that were not his” for a federal grant, on which he also overstated his work in Flint. “As the veil is now being lifted, it is becoming more and more apparent that Dr. McElmurry seems to be in the habit of making false statements that benefit his career,” Edwards writes in a web post. Edwards' disagreements with McElmurry also played out in court this week. During separate preliminary hearings for Lyon and Wells this week, Dr. Edwards testified for the defense. While on the stand, he insisted Lyon and Wells were not to blame. Instead, the Virginia Tech professor pointed the blame at the Department of Environmental Quality. McElmurry says he stands by his work.